Prepare yourself for the world of 4 Goddesses Online! 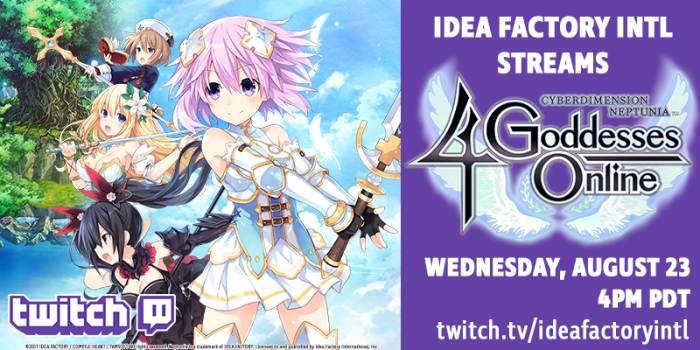 Tune into our twitch stream of Cyberdimension Neptunia: 4 Goddesses Online on the Iffy-cial twitch page on Wednesday, August 23 at 4pm PDT! We’ll be doing giveaways and taking questions–we hope to see you there!